It seems that the seat height of bikes is growing more rapidly than we, riders, do. Not fitting the bike properly gives a high feeling of discomfort. Not able to touch the ground while waiting for traffic lights, on a slope or not able to move the bike backwards is a big reason of not feeling comfortable and happy to ride the bike. It even might get you scared to drop the bike you actually liked a lot. The motorcycle aftermarket gives some solutions to prevent this. The most easy used to be, to find a bike that fits you. Or purchase an expensive lowered seat. Some bikes can be lowered with a link system, a cheap and effective solution. But, the modern bikes don’t have this link systems anymore. For example the BMW F800GS is a rather high bike, without a link system. 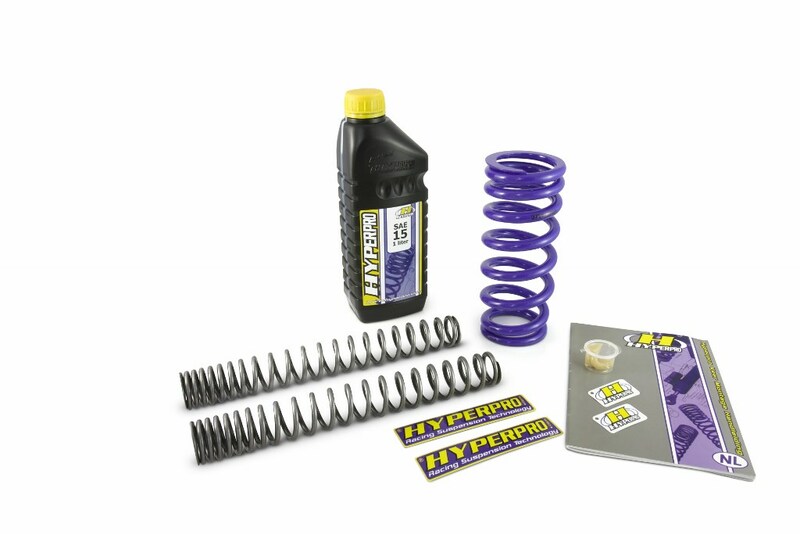 Hyperpro is able, due to its progressive build springs, to reduce the height of this bike by simply change the original spring on the rear shock with a special developed “lowering spring” . An easy purchase with a huge improvement of the ride ability of your bike. Hyperpro advices to also lower the front of the bike with a “lowering front fork spring” to get the best solution. You will achieve two advantaged; you fit the bike you want and due to the Hyperpro progressive springs, you will also improve the suspension of the bike. 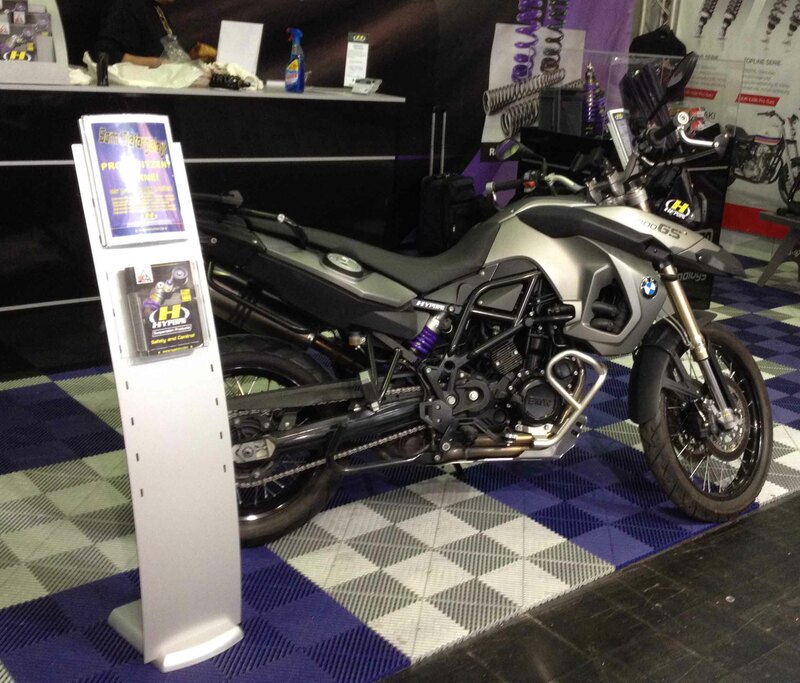 On the F800GS a lowering with springs of 50mm is possible. 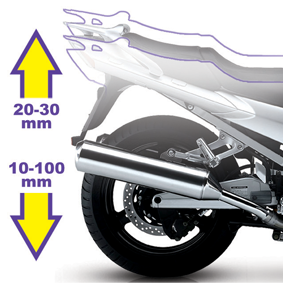 More reducing of height even up to 100mm is possible by using a lowering shock.